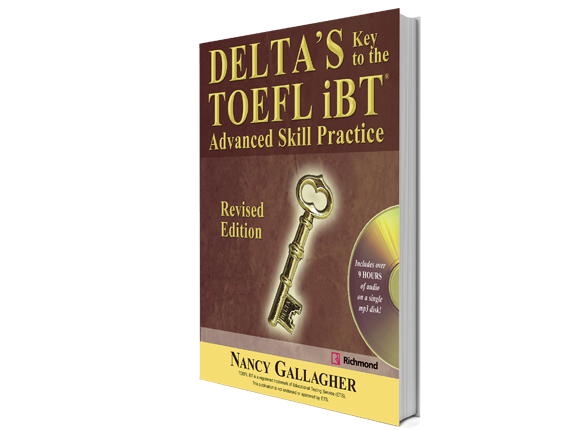 Delta’s Key to the TOEFL iBT: Advanced Skill Practice is a comprehensive test preparation course for advanced and high-intermediate learners of English who are studying for the Test of English as a Foreign Language. Delta’s Key to the TOEFL iBT: Advanced Skill Practice is a comprehensive test preparation course for advanced and high-intermediate learners of English who are studying for the Test of English as a Foreign Language. The course format works very well in the classroom and for independent study. Ample practice builds the skills and confidence that are keys to success in an English-speaking environment.